Being Frugal and Making It Work: Free 8×10 Collage Print at Walgreens - Just in Time for Father's Day! Free 8×10 Collage Print at Walgreens - Just in Time for Father's Day! 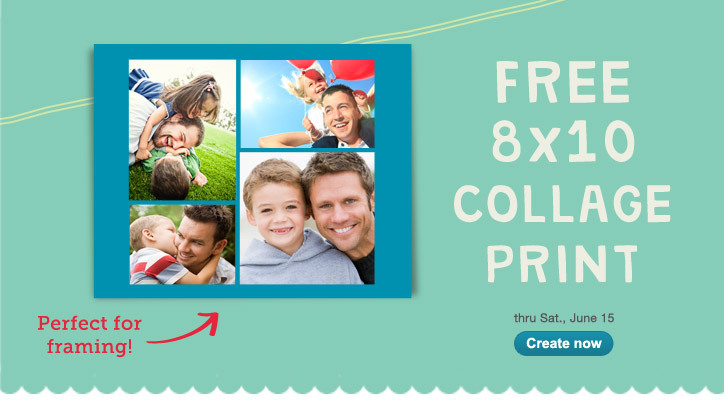 Just in time for Father's Day, you can grab a Free 8×10 photo collage print at Walgreens! I ordered a photo collage for my Dad with pictures of all five of his grandkids in different poses together. He's going to love it! Just enter coupon code DADCOLLAGE at checkout. Then, choose in-store pick up to avoid shipping costs - making this photo collage totally FREE! What are you giving Dad this Father's Day? This is great, thank you for this post! I love photo collages and I love them even more when they're free! Thanks Bridget, I need to get this one.